Lucky for us, the parents' trailer was jam-packed with delicious treats, carefully delivered to our door! Plus they brought this kim chee! Hee hee! No, canned blueberries, canned by...Dad! Mmm...fresh salmon in a light mustard fry! 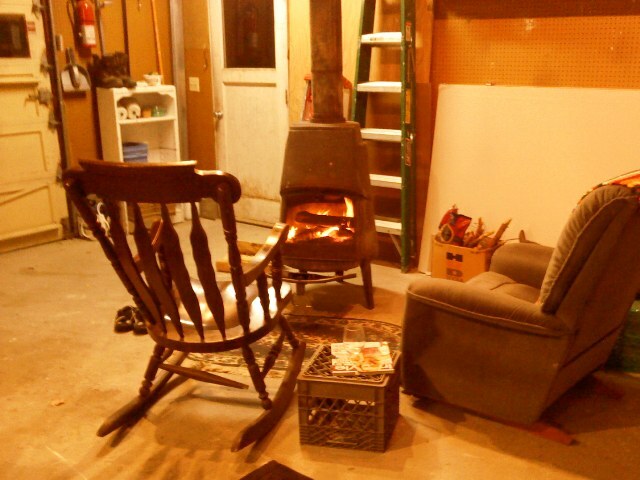 After dinner we fired up the wood stove in the garage to ward off the Idaho late autumn chill!